Greetings everyone! 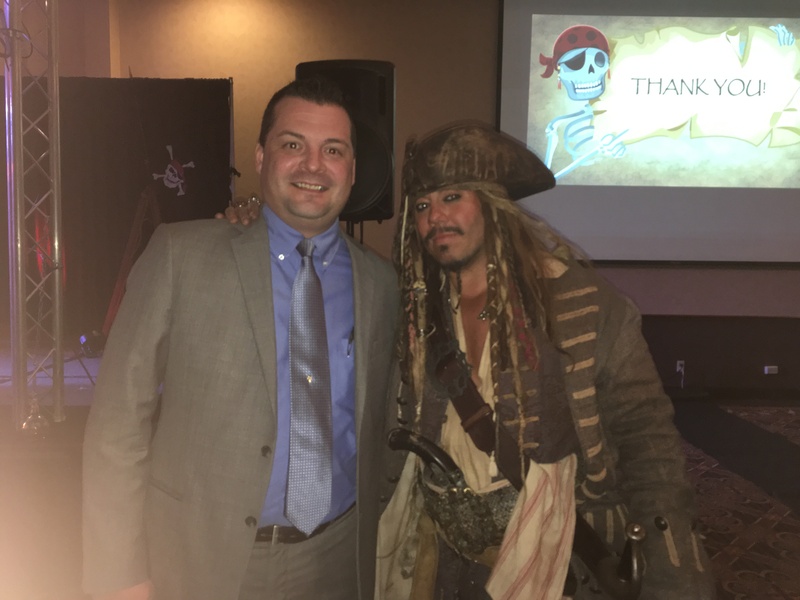 I am a Captain Jack Sparrow Impersonator & Entertainer providing fun for birthdays, adult parties, special events, fundraisers, and charities. I currently appear at a variety of events in the Twin Cites area, local festivals, boat shows, etc. If you hire said captain, you can expect all of Jack's humor, as well as, an occasional foam sword fight, pirate jokes, tales of me adventures at sea, and of course photo opportunities. Other options do exist depending on your needs. I am to travel greater than 30 miles (one way) or out of state if wanted, for add'l fees. We can negotiate the terms at the time of booking. I look forward to hearing from you, savvy? Fantastic! 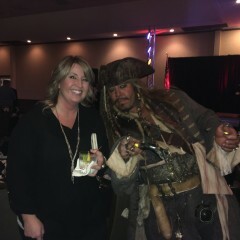 Our guests loved Captain Jack!! 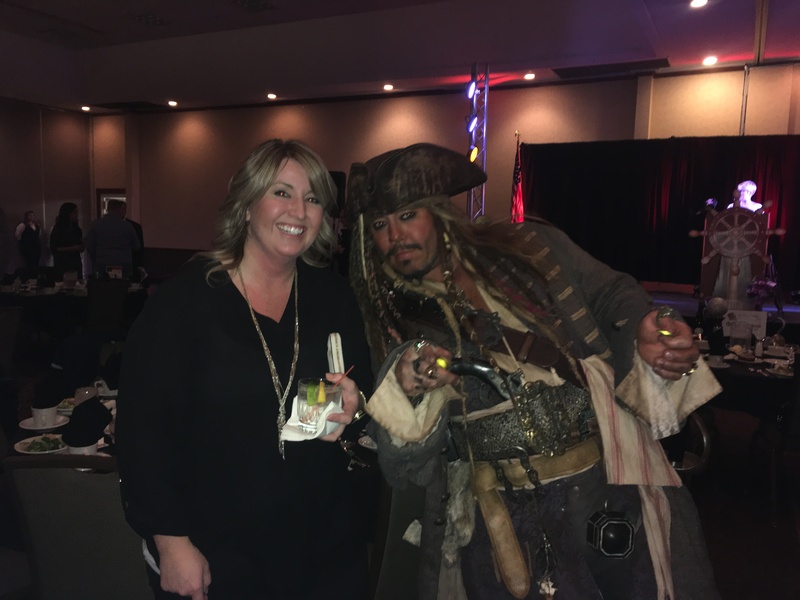 Captain Jack mingled throughout the room entertaining guests and taking pictures. Definitely added to the success of our event! We have had Captain Jack out for our fall festival event for the past 4 years now and each year he has gotten better at what he does! The kids love taking pictures with him, sword fighting, and playing pirate ring toss! He is all around great and a fan favorite for sure! We will definitely have him back next year! Thanks so much Jacque! Always a blast being at the farm and you all have done such a great job providing so many activities for all ages! I recommend everyone go check out Pinehaven Farm. Can't wait for next year! Cheers! 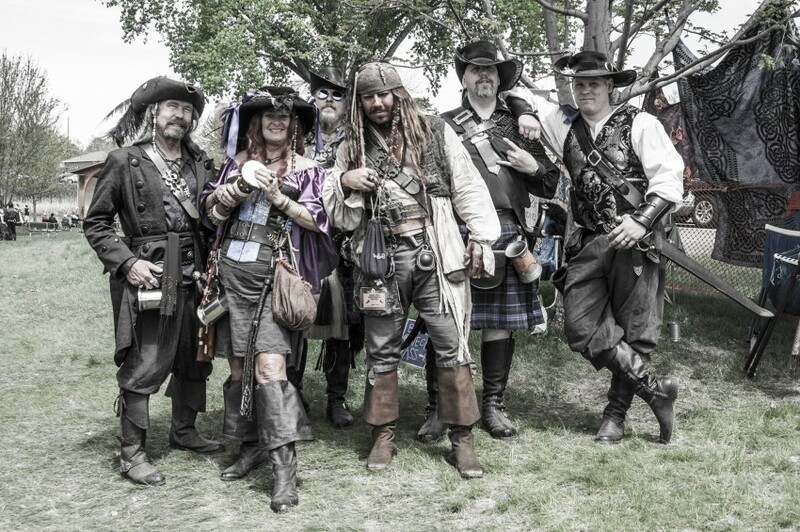 We have had Captain Jack for several events and years now. We put on a display of scale model radio controlled boats at Centennial Lakes and Cap'n Jack fits right in. We have a lot of kids that go nuts over Jack being there and the adults are no less enthusiastic. The Captain had become part of our show and part of the reason we get so many participants each year. Thank you John! Always a great show and proud to be a part of the crew! See you next year! Captain Jack was amazing to work with-very talented and professional! He made our event memorable for all. He is THE Jack Sparrow. Great at improvising and new just what to say at the right moment. If you are looking to bring something unexpected and fun that people will talk about, call Capt. Jack! You are a Diamond! I loved every bit of the gig. You and Dot rock! Thanks so much for inviting me to be a part of your event! Thank you so much Retu! The kids were all very well behaved and a pleasure to entertain. Jack gave a phenomenal performance! 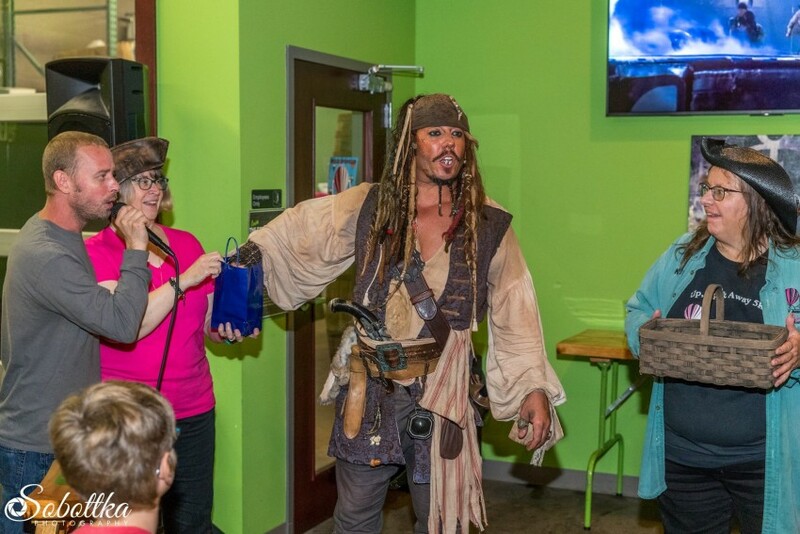 Captain Jack attended our daughter's 10th birthday party and was certainly the highlight of the evening. He came fully prepared and brought great delight to all. He was very thoughtful, funny and fun! We would love to see him again. Thank you Allison! It was a pleasure to guide the crew of scally wags on the treasure hunt. Great kids great time. Cheers! This is Captain Jack Sparrow! 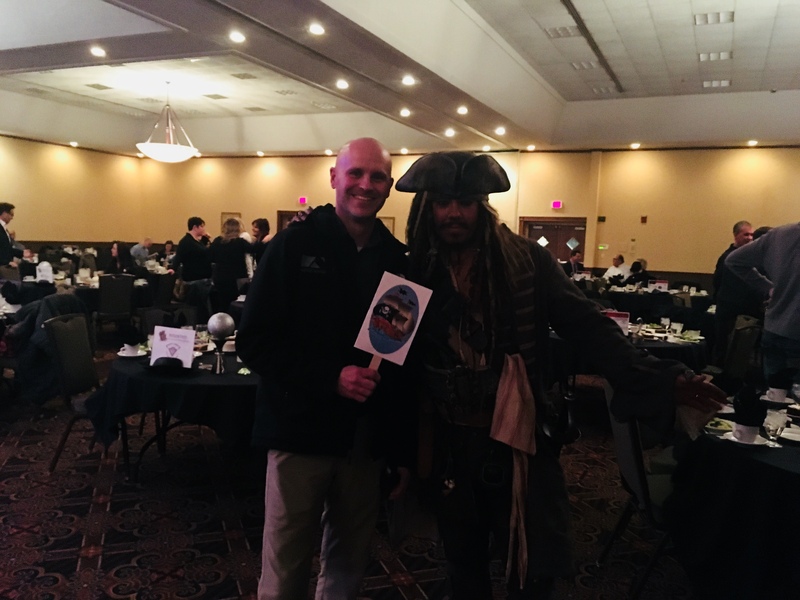 We met the Captain at another event that the club participates in. The impersonation was stunningly dead on, and he was so good with not just kids but the adults gravitated to him too that we engaged him for our own event. Jack is now a regular for us every year. He is a natural in the character and has an engaging personality that makes his performance complete. Thank you Commodore. Always a pleasure entertaining at your show. The dedication and professionalism of you and your crew is outstanding, which is why the Parade of Boats is a success every year. I look forward to next time. Cheers! 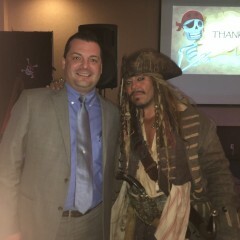 We had MR. Jack Sparrow for grand opening of our new Liquor store in HUGO, MN. 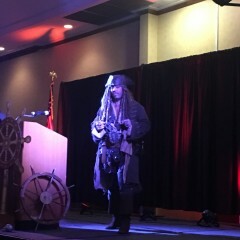 Mr. Captain Jack was on time, dressed up extremely similar to Johnny Depp and entertained both adults and kids. He was a highlight of the night. Captain Jack is better than the real thing! I could not recommend Captain Jack Entertainment more highly. His resemblance to the actual Captain Jack Sparrow, portrayed by Johnny Depp, is amazing. His costume is well put together, not a cheap Halloween store knock-off. He is amazing with crowds and staff alike. Our customers loved him! Within 60 seconds of him entering our business, people were already asking him for photographs. He is great with kids and adults alike. If you're looking for some real fun entertainment, this is your guy. Thank you so much Nathan and the Woodbury 10 for this kind review. It was a pleasure entertaining at your great theater. Ahoy matey! Each year we host a New Years celebration. Captain Jack fit wonderrrr'fully into our Caribbean Theme. He left many guests becalmed in their tracks with how realistic he looked and acted in his long clothes and duffle. He worked really well with our staff and the children in attendance. He even lead the countdown to the new yearrrr'. When booking Captain Jack you truly get ye mother load! Thank you so much for the kind review. You and your staff were a pleasure to work with and made the night so much fun. Thank you for having me! 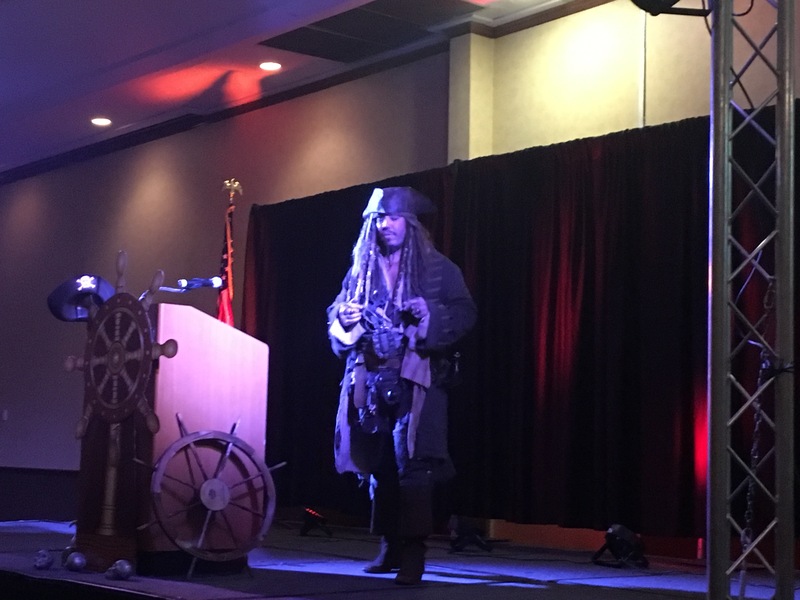 If I am hired to perform as Jack Sparrow, you will get accurate representation of the captain, never breaking character. I bring the charm and wit that is Jack Sparrow to every performance with complete authenticity and detail. Jack loves mingling & interacting with kids and adults, taking pictures, and of course quoting lines from his movies. There may also be some pirate jokes and occasional mumblings of why the rum is always gone. You may also notice odd and unusual moments where Jack finds himself looking at the world through the bottom of a glass. No worries, it's all part of the plan. Whatever the situation brings, you can be assured, my performance will always be age appropriate and at a professional level. 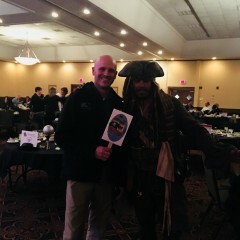 My name is Chris and I am a Jack Sparrow impersonator located in the northern suburbs of St Paul, MN. I can be hired for kids birthday parties, adult parties, festivals, guest bar tending, parades, corporate events, or any other event you'd want the captain to attend. 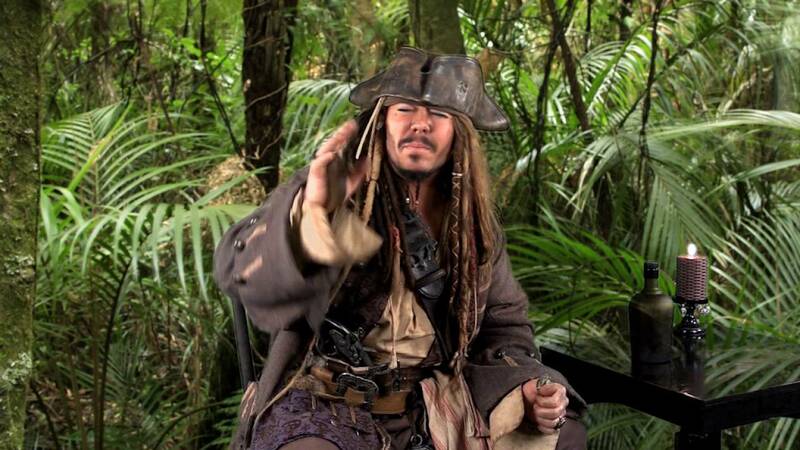 I bring the charm and wit that is Jack Sparrow to every performance with complete authenticity and detail. Whether I'm mingling with the crowd at an event or hosting a birthday party, my performance will always be age appropriate and at a professional level. One of Jacks greatest skills is improvising, so I do not have a set list. More or less go with the flow of entertaining, savvy? Pretty much anything and everything to do with Jack Sparrow. Or, maybe my jar of dirt. Jury's still out on that. Kids, adults, pirate loving folks!